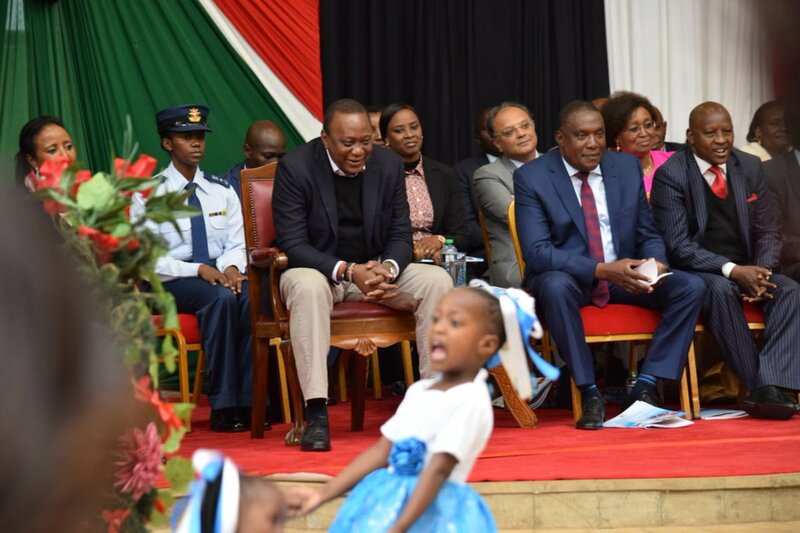 President Uhuru Kenyatta on Friday made history when he appeared in public with a female Aide-de-Camp. 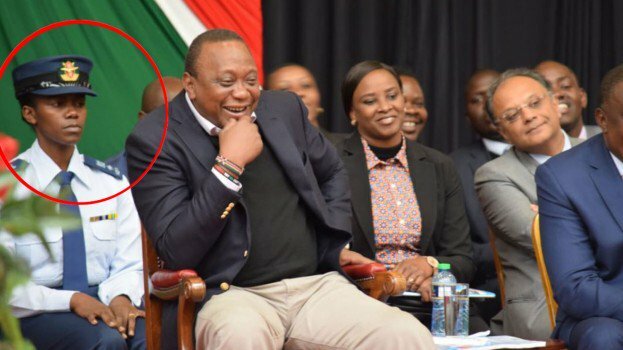 The unidentified ADC sat behind a relaxed Head of State during the annual music festivals winners stage concert at Sagana State Lodge in Nyeri on Friday. This is the first time a Kenyan president has a female ADC. This development, however, comes amid a recent reshuffle in that position over the last year. On July 18, the Presidential Strategic Communication Unit (PSCU) announced Lieutenant Colonel Timothy Stelu Lekolool as the official ADC. Leokolool replaced Lt Col. Victor Mburu who had served in that role for 11 months. Col. Mburu had replaced Col. Peter Njiru who served the Head of State in his first term. Acting Head of State spokesperson Kanze Dena explained at the time Mburu had gone to pursue further studies. Uganda President Yoweri Museveni was also recently spotted with a female ADC. An ADC is normally expected to stand behind the president at all times, salute at designated moments and is the conduit for gifts and documents to and from the president.